Present an great monday and a great week ahead with this inspiring thought for the day. Share this picture with the thought "Take Full Advantage of Every Wonderful Opportunity that Comes Your Way. 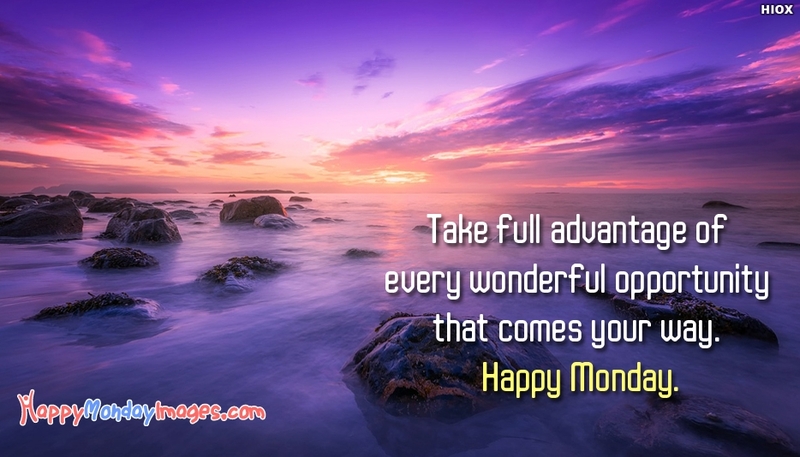 Happy Monday" and make your friends start this monday with enthusiasm and happiness.